West hove Infant School is a welcoming, caring and happy school where the talents of all are nurtured. Staff and children are optimistic, reflective and ambitious. In developing our curriculum, we have considered the needs of our whole school community and identified four key drivers which are now embedded throughout the curriculum; Standards, Enjoyment, Enquiry and Diversity (SEED). 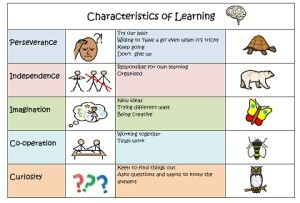 We have also developed our own school’s Learning Model designed to maximise learning and engagement. A key concept which shapes the ethos of our curriculum is Active Learning and Creative and Critical Thinking. We believe that all children should be challenged in all subjects. Together these guiding principles ensure that we are a fully inclusive school, where inequality is challenged and children are inspired to perform at their best in their pursuit to become life-long learners. A key concept which shapes the ethos of our curriculum is the development of a growth mindset. If children have fixed mindsets then they find it hard to cope with failure. We teach our children to see mistakes as part of a fun process which helps us to get better at whatever they are doing at the time. This makes for very energetic and inclusive learning. This approach links with how we mark work and give feedback. We always mark work informing children what they need to do to improve and then we give them the time to do this. This way, we hope that children will see learning as a way to grow and develop. Developing thinking skills is one of the key drivers in our curriculum (under the heading ‘Enquiry’). Creative and Critical thinking skills are now planned into each subject/topic together with challenge at all levels and for all learners. This is very important to us as we believe that all ability levels can cope with and enjoy challenge at the right level. Our learning characters are designed to enable children to become more independent and engaged in the learning process. We believe that the more children understand how a ‘good learner’ behaves, the more they will be able to develop this behaviour for themselves. We also know that we need to equip the children with the right knowledge and understanding to enable them to respond to a rapidly changing world. As such they need to be able to respond confidently and creatively towards it. In order to do this, they need to have acquired the right skills and attitudes. Each attitude has an animal linked to it. These will be an essential part of each lesson, where children will be identifying the key attitudes needed for the task and their own key areas for improvement. I always try my best. I am willing ‘have a go’ and keep going even when it’s tricky. I know that doing-challenging work helps me improve and that making mistakes is an important part of learning. I also know what to do when I get stuck. I enjoy working with others but I can also work on my own. I am responsible for my own learning and always have a go on my own first. I think carefully about my learning and know what I need to do next to make my learning better. I use resources in the classroom to help me with my learning. I also know that adults and other children can help me with my learning and that I can help others too. I can use my imagination to be creative. I try to use lots of new ideas and combine this with things that I already know and have tried. I share my ideas and also listen carefully about the different approaches and ideas of others. I can work well in a team and I understand that I can learn from others and that they can learn from me. I can share, take turns, listen carefully and give others a chance. I know that lots of ideas can be better than one and that I can learn more by working in a team. I always want to learn more. I do this by asking questions and know that this is also an important part of learning. I can ask questions to learn more and I think carefully about what I want to find out. I also listen carefully to the questions of others. I use the Sentence Starters in the classroom to help me think of good questions and answers. Following the annual pupil questionnaire 2018, it was suggested that we introduce a character for risk taking- watch this space! The children are also taught skills that over time, will develop them as all rounded learners, in preparation for their next phase of education. Through a carefully designed curriculum, children will have the opportunity to embed their learning and for deep connections to be made, enabling them to commit learning to their long term memory banks. This will be through independent thinking and collaborative learning. Our curriculum has successfully incorporated the National Curriculum and its raised expectations. Teachers organise educational visits in and around the local environment and further afield to support the children’s learning. A range of visitors enhance topic learning. We also take part in community events including the annual Brighton Children’s festival and Dance at the Dome. Learning continues well beyond the classroom. We provide a before school breakfast club and a range of extra-curricular after school clubs.